We are excited to announce that the United Shades of America episode we worked on with W. Kamau Bell just won an Emmy! 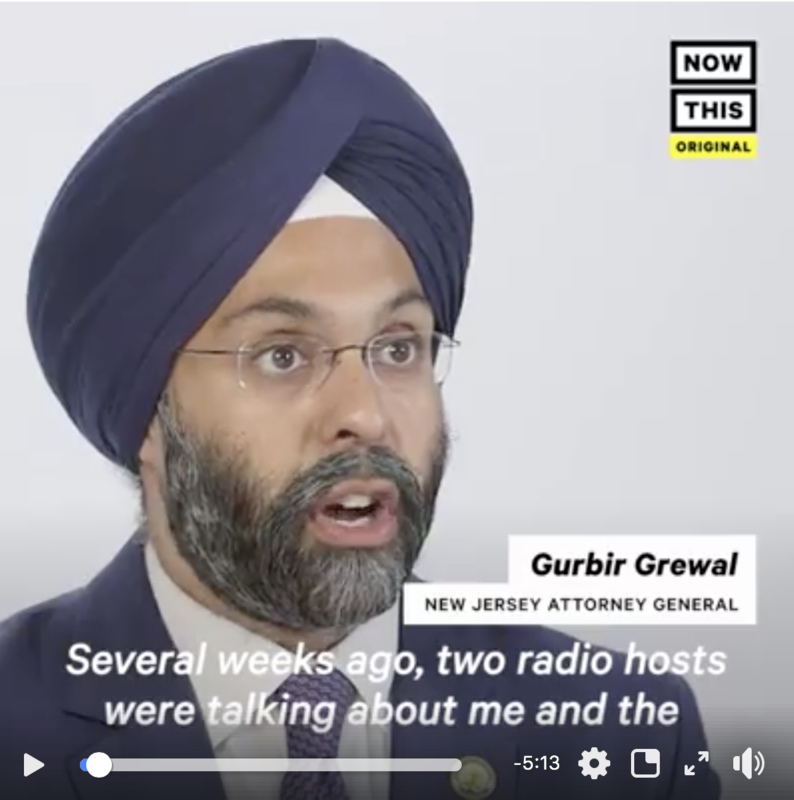 It is the first cable episode on Sikhs in America — the first time the nation has seen Sikhs tell our own stories, in our own voices, for an hour on television. And now it has received the highest honor in the industry! Let this win be a little beacon of light. Today, as we mark seventeen years since 9/11, we believe that the best way to honor the thousands who died on this day and in its aftermath is to hear the STORIES that help us reckon with the past. The most brutal policies and rhetoric that drive hate in America today were first forged in the wake of 9/11. Our stories help us understand how to stand in solidarity with Muslims, Sikhs, and immigrants — and how to birth a new future. So on this anniversary, we invite you to hear a story you have never heard before. Watch the Emmy-award winning “Sikhs in America” on DIRECTV here. Then scroll down for a list of films, books, and toolkits that help us understand 9/11 and hate in America today. Some we produced, others we curated, all center Sikh American stories the nation needs to hear. 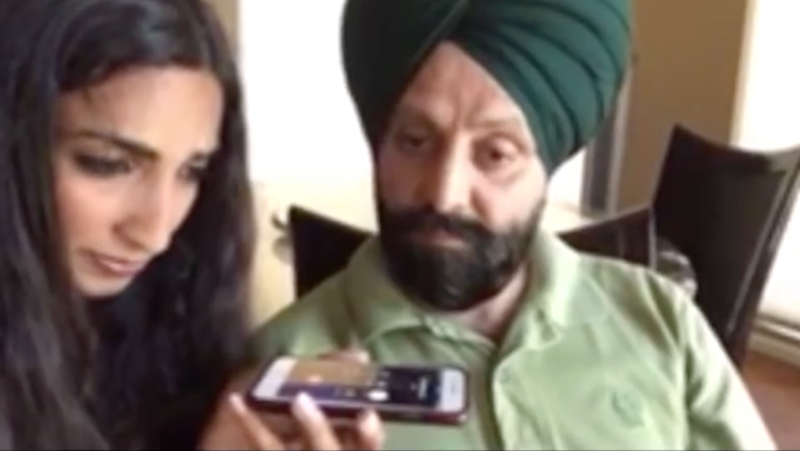 In this episode of United Shades, go to 27:11 to hear Valarie tell the story of Balbir Singh Sodhi, the first person killed in the wake of 9/11, and how his family shows us how to practice Revolutionary Love in an era of hate. Do you want see more stories like this in the world? Please chip in a few dollars to support our work. We make every cent stretch. You can become a monthly donor to the Revolutionary Love Project here. 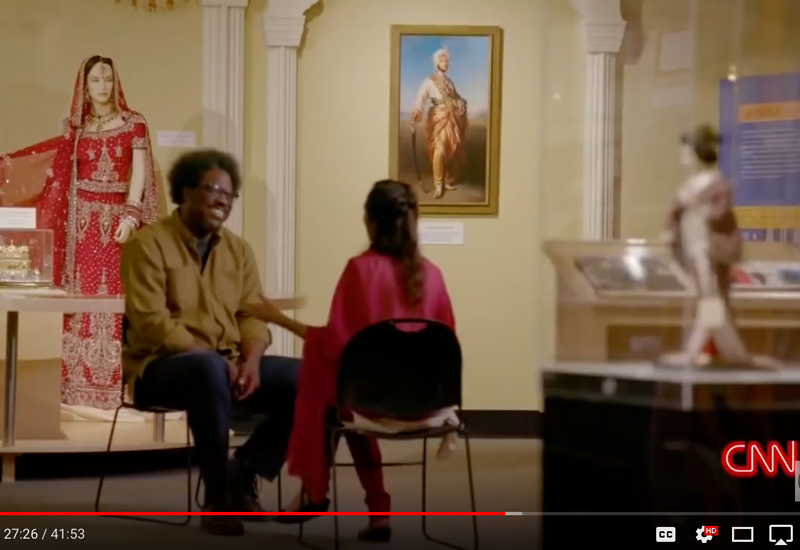 Thank you W. Kamau Bell, Donny Jackson, and team for producing this episode with vision and care, and the Sikh Coalition for dedicated support from start to finish. (Send them some love here: @wkamaubell @sikh_coalition). And thank YOU for journeying with us. We curated the resources below for educators, parents, students, and all of you. Host a screening. Start a book club. Spark a dialogue. Share these resources far and wide. They are yours to light the way. Our award-winning film Divided We Fall explores hate, bigotry, and belonging in America in the aftermath of 9/11. For the last decade, the film has been used on 300+ campuses to spark dialogue and reflection. It is now available online for free and comes with up-to-date teacher´s guides and dialogues questions to use in your classroom, house of worship, or even your living room. Check out resources here. You can also order a DVD of the film on Amazon here. Civil rights activist and Sikh brother Arjun Singh Sethi has just released a new book American Hate — a compilation of stories from people targeted by hate and a resistance manual for Trump’s America. Order the book for your home or classroom and then catch Arjun on tour this fall! 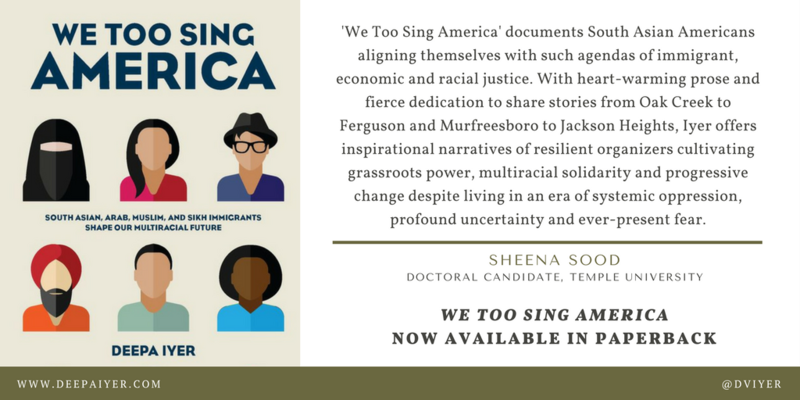 We Too Sing America is required reading. Authored by veteran civil rights activist and our sister Deepa Iyer, the award-winning book chronicles the long-term aftermath of 9/11 and shows readers how state violence and hate violence feed each other. Deepa masterfully calls us to the kind of deep solidarity necessary for lasting social change. Read Deepa’s latest essay on the 17-year anniversary of 9/11 here. Check out this first-ever back to school toolkit brought to you by our partners at the Sikh Coalition. It offers critical resources to make classrooms a more safe and inclusive space for Sikh students. When Sikh American Balbir Singh Sodhi was the first person killed in a hate crime after 9/11, his family grieved — and then responded with defiant love. Watch what happens when his younger brother Rana Sodhi joins Valarie Kaur to confront Balbir’s murderer in this heart-wrenching video.